t*rexes and tiaras: Sunday Shoes 051: Irregular Choice Abigail's Party..
Sunday Shoes 051: Irregular Choice Abigail's Party..
My other London pair of shoes. I'd definitely planned to get these boots at some point so I snapped them up when I got the chance a couple of weeks ago. 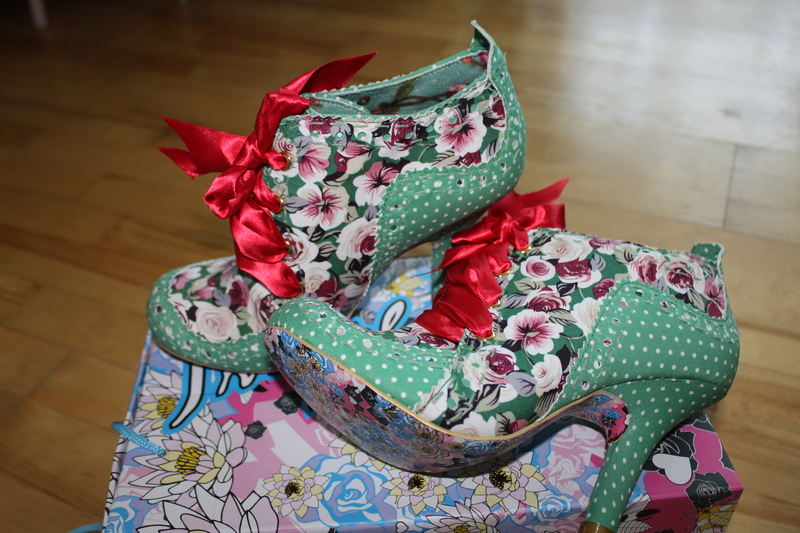 Abigail's Party are becoming quite the pillar of the Irregular Choice community. Rolled out in different colours every year, they're becoming the shoe which has had more comebacks than Kylie Minogue. Despite all of that choice though, I only had one pair - a rather old blue floral one. I like those but none of the other colours have really floated by boat. Until this green pair, that is. I think the combination of the green polka dots and muted floral print really won me over and I'm totally in love with the lipstick red ribbon ties. I love ribbon ties on just about anything, and these boots are no exception. I know from my existing pair that these will be comfortable to wear for days at a time and the cute floral print lends itself to that tricky transitional dressing period between Autumn and right through to Spring, so I certainly think I'll get plenty of wear from them. Very pleased with these. Oh wow these are beautiful!!!!! Lovely. I often lust after the AP's but never seem to buy them (think it's because I have trouble styling them sometimes). 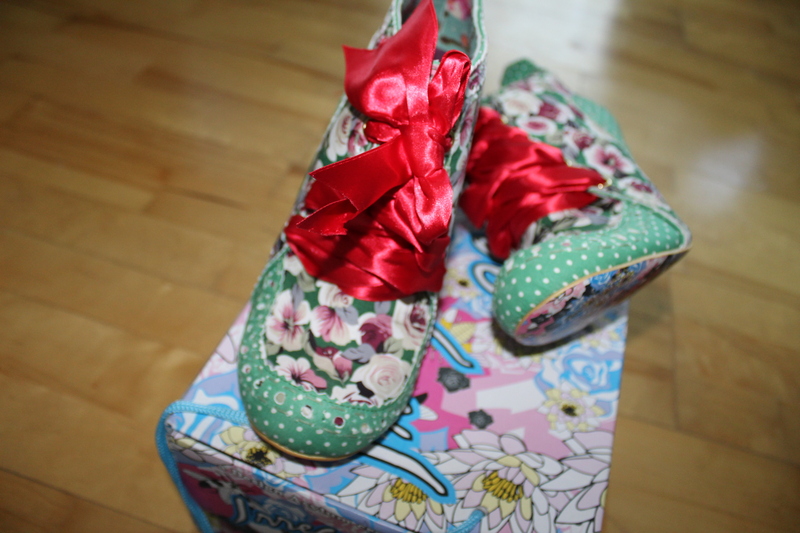 I think I have 4 pairs blue/pink stripe, pink bunnies, green bunnies and the Alice looking floral ones. I do like this pair though. I must admit, I'm not really that fussed by very many of the huge number of styles there seem to be. 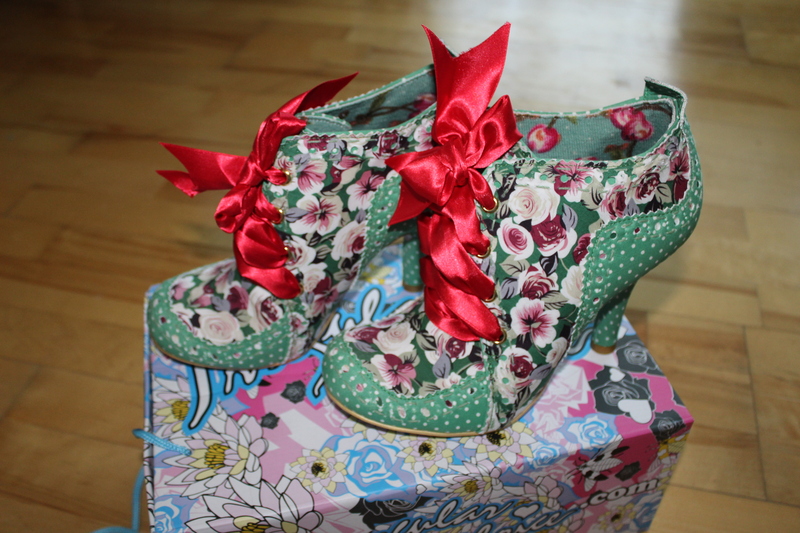 These ones won me over with the combination of the red ribbon against the floral print, I think.